Switzerland is famous for its picture perfect alpine villages, turquoise coloured lakes and towering snow-capped mountains. These are the reasons why people visit Switzerland and why so many fall in love with it. One of the most easily accessible of these villages is Interlaken in the heart of the Bernese Oberland region. 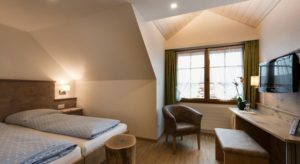 It’s the perfect place to base yourself for exploring the surrounding Alps and lakes and attracts a big backpacker crowd, as well as those looking to hike up the mountains. Situated between two lakes, Lake Thun and Lake Brienz, Interlaken is surrounded by some of the Alps highest peaks, Eiger, Monch and Jungfrau. 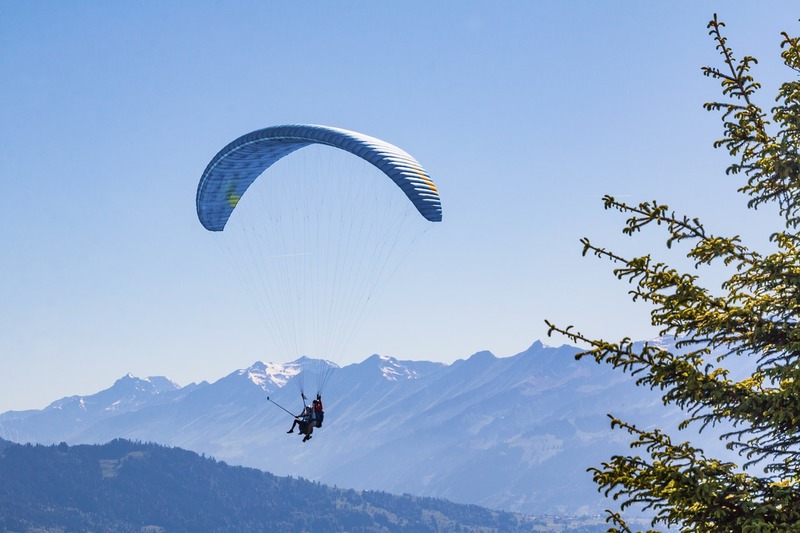 Known as the second most popular place for travelling thrill seekers around the world, Interlaken offers the opportunity to throw yourself off cliffs or planes, thrash through rapids or glide over the spectacular mountain scenery. But this charming traditional village in the Alps is more than just a thrill seekers paradise. The scenery is just as good with your two feet planted firmly on the ground or from a sedate train, boat or funicular. 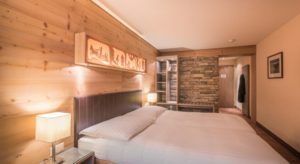 With such an abundance and varied list of things to do in Interlaken, I guarantee that no matter how long you stay, you will leave wanting more. 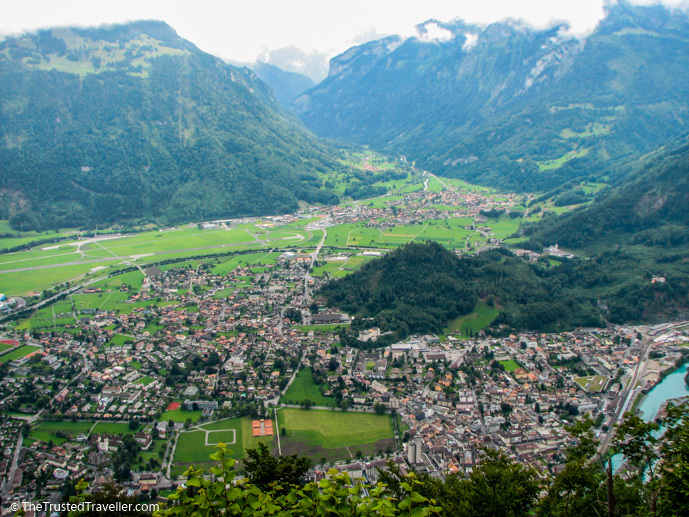 Interlaken isn’t just another Swiss village, it is THE ultimate Swiss village. 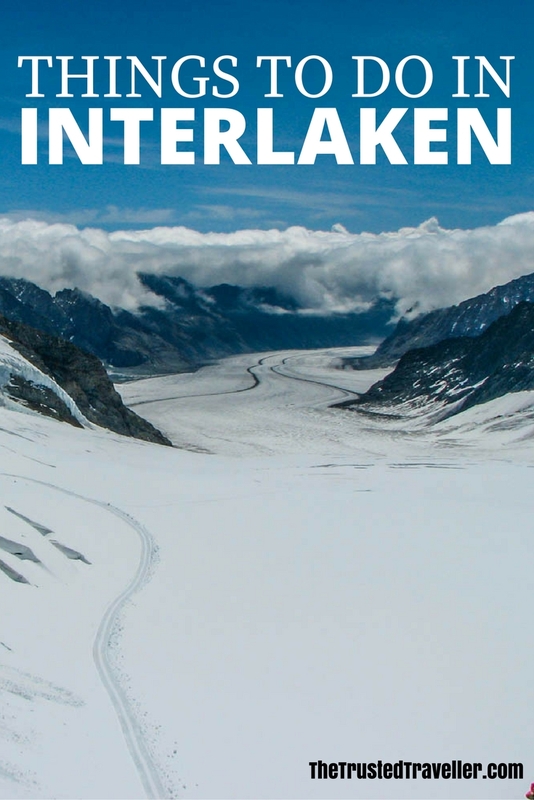 Interlaken offers multiple opportunities for those who like a bit of action and adventure in their life and travels. Choose from water based activities like white water rafting and canyoning or stay dry and get up in the sky with a jump from a plane or paragliding over the mountain peaks and lakes. In the winter time your right in the action for skiing (not so thrill seeking), night sledding and ice climbing. What ever activity gets your blood pumping the most, you’ll find in Interlaken or somewhere nearby. 2-Hour Twin Paragliding Experience – the thrill seeking way to see the mountains! Jet Boat Ride – scenic and thrilling! Canyoning – a 3-hour challenge in the Alps. Rafting on the Lutschine River – 4-hour adventure down the rapids. Canyon Swing – for a few hours of hair raising fun. Bungy Jump – jump the famous Stockhorn. Helicopter Skydive – the ultimate adrenaline activity with the ultimate view. The Top of Europe is the term used to describe the highest railway station in Europe, Jungfraujoch, at 3,454m. 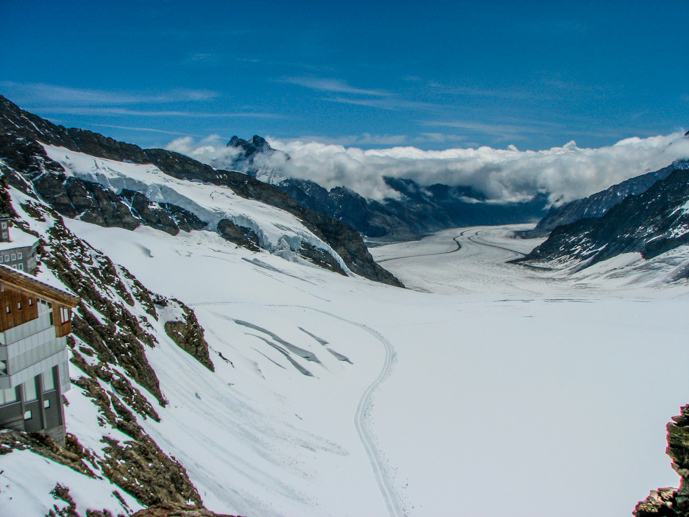 The journey to Jungfraujoch is a long one, but well worth the time and cost. The scenic train journey itself, via three different trains, is the biggest attraction, but once you reach the top there are a few things to do too. Firstly make sure you head to the open air viewing platform to get the best view of the glacier and craggy peaks. You can also visit the Ice Palace, walk out on the snow or go sledging and skiing if you have more time to spare. The journey to Jungraujoch can be done independently, or you can book a guided tour. 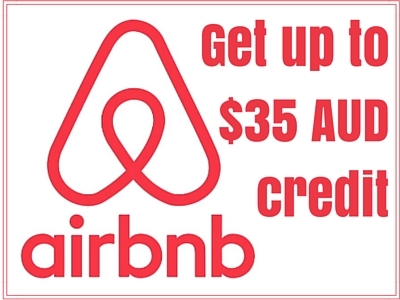 Pre-purchasing tickets here instead of buying them when you arrive will save you money. Address: The first train leaves from Interlaken Ost station to either Gridelward or Lauterbrunnen, the second train is to Kleine Scheidegg and last train takes you to Junfraujoch. Return journey is the same. Cost: Return Fare for all three trains – Second Class from CHF200, First Class CHF220 – Half fare is available to children as well as students with a valid student card. Hours: Trains run all year round with a journey time of about two and a half hours each way. First departure from Interlaken Ost is around 06:30 and the last train back to Interlaken Ost form Jungfrujoch is around 17:45. Interlaken is home to two of the finest lakes in Switzerland. And what better way to enjoy them than with a cruise on one or both of them. A cruise through the crystal clear glacier waters of Lake Thun or Lake Brienz takes you past picturesque fishing villages and castles steeped in history. Towering mountains surround the lake making for some of the most jaw dropping scenery. 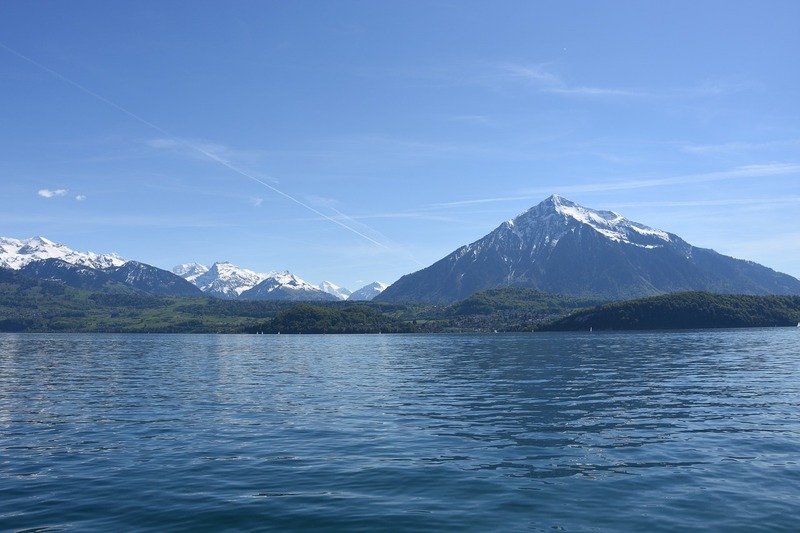 Address: Lake Thun cruises depart from the ferry dock near Interlaken West Station and Lake Brienz cruises depart from the ferry dock near Interlaken Ost. Hours: Cruises run roughly from 08:30 until last light depending on the time of year. Check out the timetables in the link below. For the best view of Interlaken, Lakes Thun and Brienz and the surrounding mountains including the big three, Eiger, Mönch and Jungfrau, take the funicular up Harder Kulm. In just eight minutes you reach 1,322m above sea level and from the restaurant and viewing area you are met with views that are simply breathtaking. This is also a perfect place to start many great hikes through the surrounding mountains with information boards available near the restaurant. Address: Funicular departs from Brienzstrasse on the other side of the river from Interlaken Ost station. 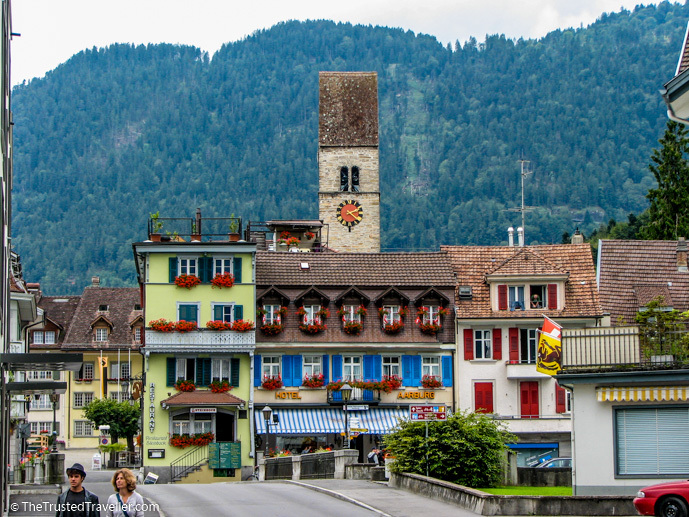 There are two sides to Interlaken’s town centre, the main street and the streets north of the main street leading to the river. The Main street is strictly shopping and mostly for tourists. I wouldn’t skip past it too quickly but you don’t need to spend too much time here. If you’re looking to buy some Swiss chocolate, Swiss Army Knives or souvenir type items then this is where to go. After you’ve finished with your shopping, head north through the small collection of streets that lead to the river. Here you will find more traditional buildings decorated with baskets of flowers and colourful window shutters. When you get to the bridge crossing the river, enjoy the view of the turquoise glacier waters moving rapidly towards the lake. 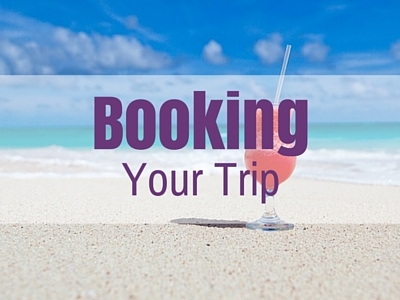 Here are three accommodation options to suit all budgets that I recommend you check out. 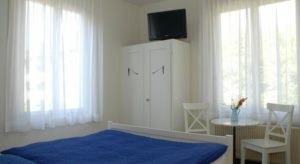 All are centrally located, highly rated and come with excellent facilities. 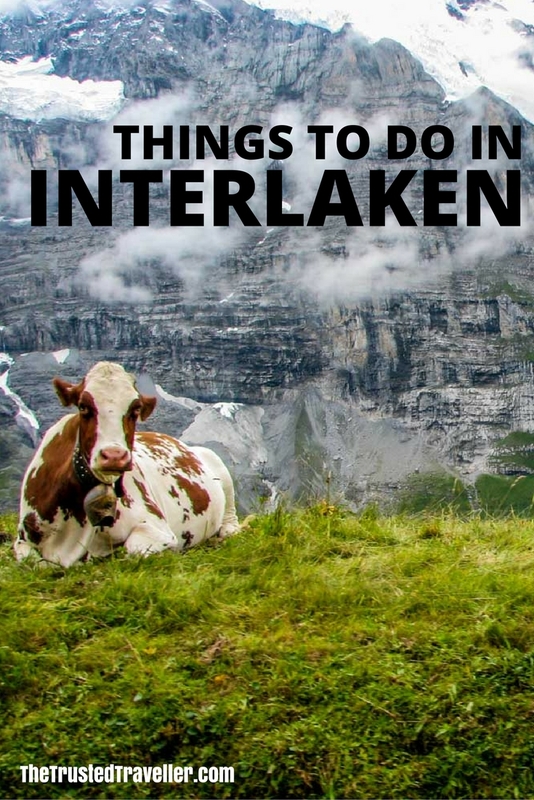 What’s top of your list of things to do in Interlaken? Or have you been already, what did you love about it? It’s honestly probably one of my top 5 travel highlights. 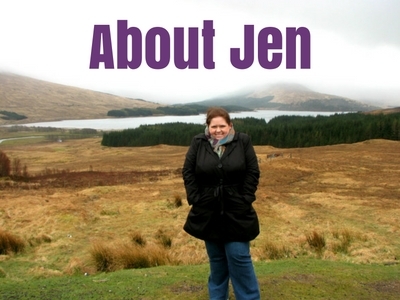 Nice post Jen – so much beauty there we regretted not staying longer than 3 days. We actually stayed a little bit further, in Lauterbrunnen. Did pass through Interlaken though – is it still Delhi West? We couldn’t believe all the Indian tourists…must be heavily promoted in India. Me too! We stayed in Interlaken but when I go back someday I’d like to stay in Lauterbrunnen instead. We only got to spend and hour there so I love to get more time to explore. Paragliding is the best, cant wait to do some in Africa. but now i have to add Prague on to my list now seeing photos! We are always doing crazy fun adventures and Paragliding is up our alie! Cool thanks for the tip Oliver.